IBM Managed Mobility Services is designed to help build and manage enterprise mobility and device-choice initiatives for increased security and productivity. Work for IBM Managed Mobility Services? Learning about IBM Managed Mobility Services? Now most of us are able to work and access company resources in terms of data, services and applications remotely and in full time basis. I also like that fact that our systems were migrated/upgraded without severely affecting our operations. The cost! It is not that cheap. The company had to part with some good amount to get the services. If you have an issue migrating your systems then consider IBM managed mobility services and am confident they will execute your task satisfactorily. Voices.com is an online project management tool for creative producers to search for, audition and hire professional voice-over talent. 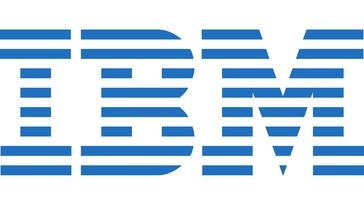 IBM Supply Chain Business Network simplifies B2B connectivity and leverages cognitive document correlation technologies to deliver deep visibility into B2B transaction lifecycles. REDBOOKS is a leading sales intelligence platform for the media & marketing industry. Conducts in-depth interviews with the decision-makers at your won and lost accounts. Kadro Merchant is an e-Commerce software platform that provides a solution to meet your business requirements with consultation, website design, implementation, search engine optimization, software enhancements, hosting, and support. IceCat is an open source back office system designed to help manage product catalogs with multilingual, large scale, multi-media features and more to help you manage your data. Infoglobaldata provides timely information on businesses installed technology, buying intentions and key IT decision-makers based upon thousands of interviews and surveys conducted on an ongoing basis with real IT and business technology purchasers. OANDA Corporation provides online multi-asset trading services. MainStreet Marketing provide a 3 week online program that includes practical education, business coaching and a modern toolkit. * We monitor all IBM Managed Mobility Services reviews to prevent fraudulent reviews and keep review quality high. We do not post reviews by company employees or direct competitors. Validated reviews require the user to submit a screenshot of the product containing their user ID, in order to verify a user is an actual user of the product. Hi there! Are you looking to implement a solution like IBM Managed Mobility Services?